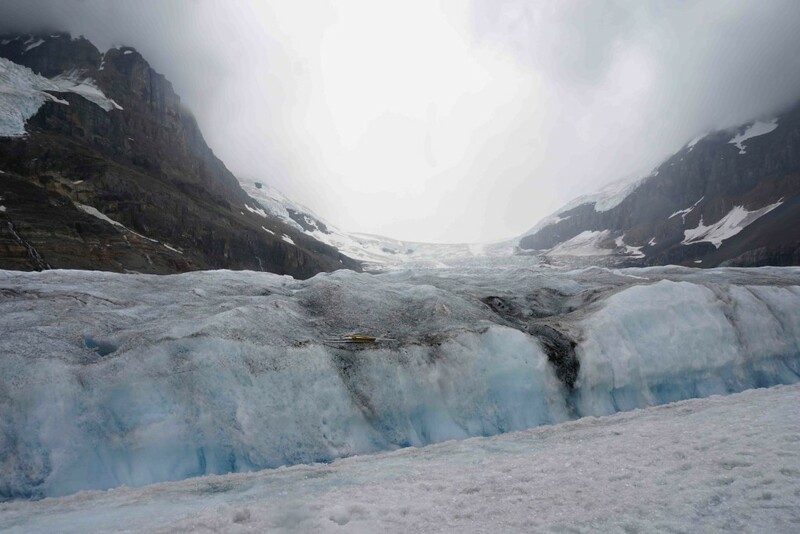 Columbia Icefield Glacier Adventure ! 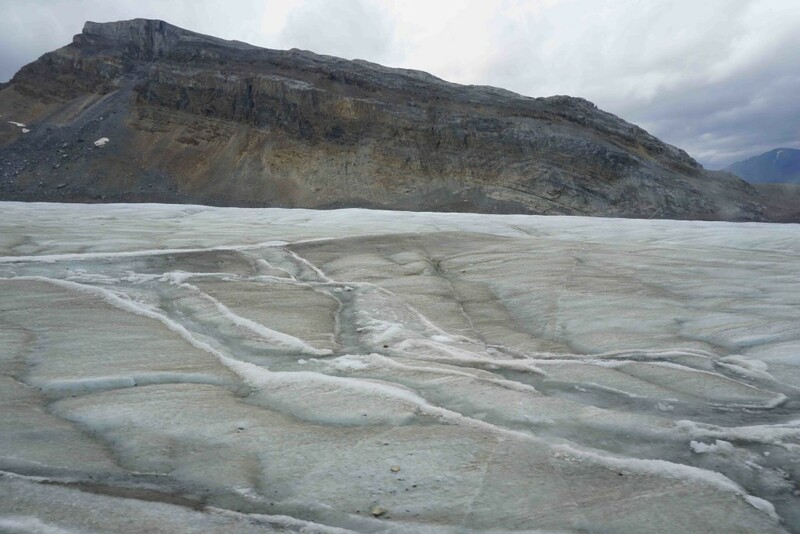 Taking the Ice Explorer to the Columbia Icefield was my most anticipated activity during this road trip! The Ice Explorer is a special vehicle designed for glacial travel, the wheels are as tall as me (or almost)! When we arrived at the Discovery Centre, the place was already packed. 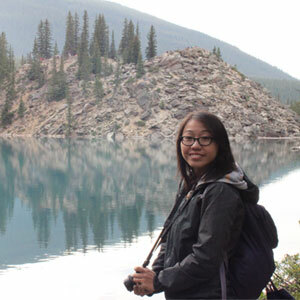 Since we bought the Vista Explorer package (see below for more info), we skipped the long line ups and went straight to get our boarding pass. We were assigned to do the Skywalk at noon and the Glacier Adventure at 2:30PM. We were told to get in line 15 minutes before the our boarding time and was greeted by a tour bus to drive us to our Ice Explorer. Once we arrived 10 minutes later, we hopped on to the bigger vehicle and met our tour guide/driver who started our journey! The ride was slow and bumpy but once we arrived, stepping out on the sheet of ice with a stunning view of the glacier was a pretty incredible experience. Unfortunately, since this is a popular attraction, it was hard to admire the great view with so many people around us. Besides that, minus the tourists, it was still a pretty amazing sight. 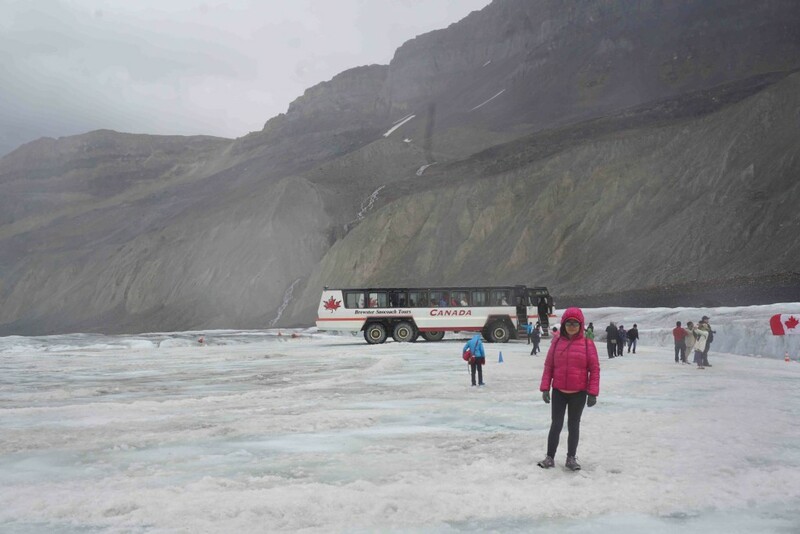 Below is a picture of my mom on the Icefield with the Ice Explorer! My dad and I wanted to go fill our water bottles with glacier water to drink (we did get approval from our tour guide about it!) but it looked very slippery and slightly dangerous so to avoid us falling into the water, we decided not to risk it 😉 After 15 minutes of wandering around and snapping pictures, it was time to head back. 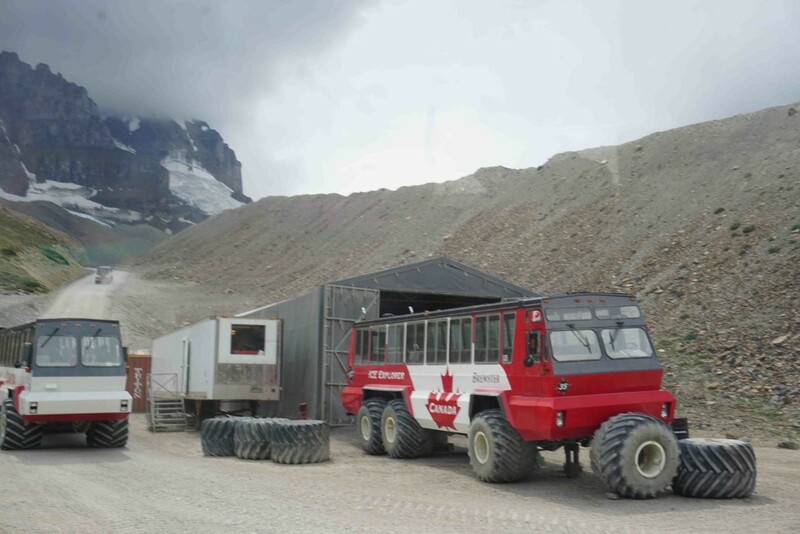 I do recommend going to the Glacier Adventure since it is a pretty cool experience! 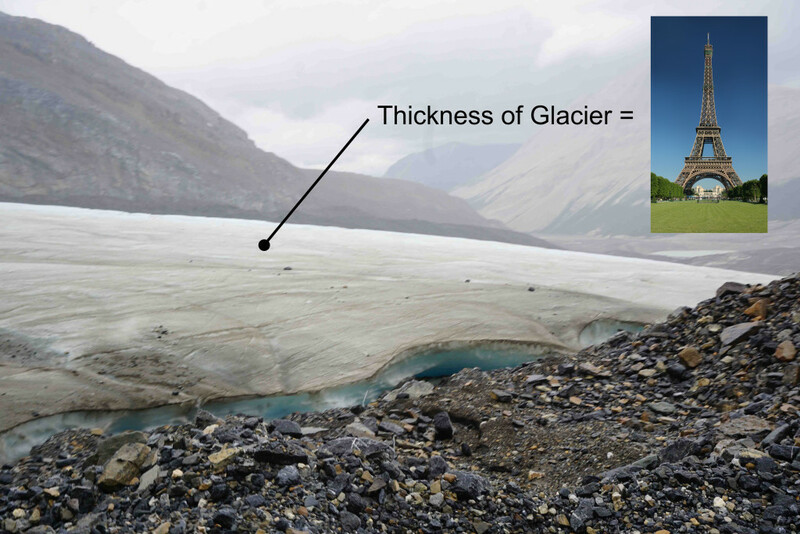 How often will you get the chance to step on an actual glacier that has the thickness of a full Eiffel Tower?! I do suggest combining this activity with the Skywalk since they are both located within several minutes from each other. 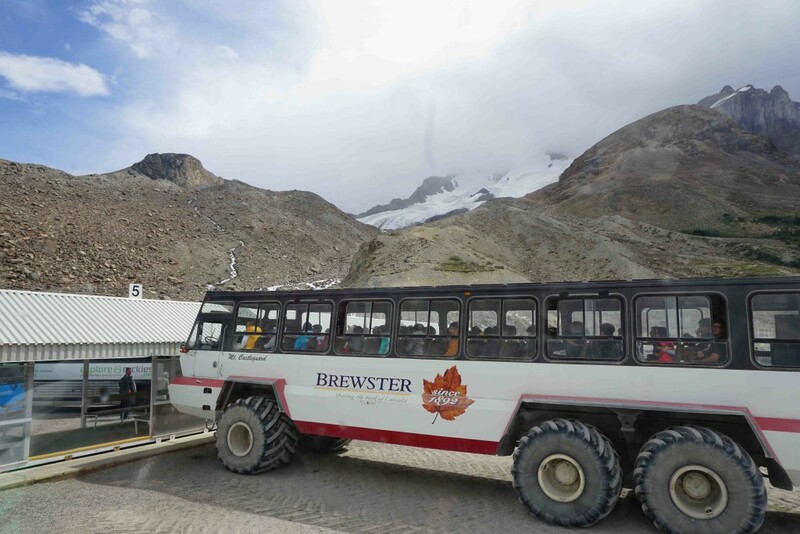 Take a look at the video below to get a glimpse of what the Glacier Adventure is all about!